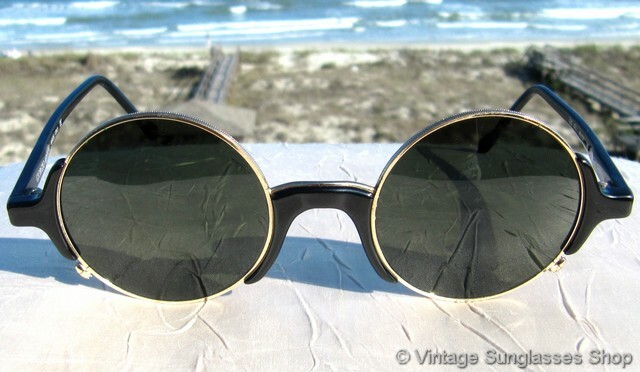 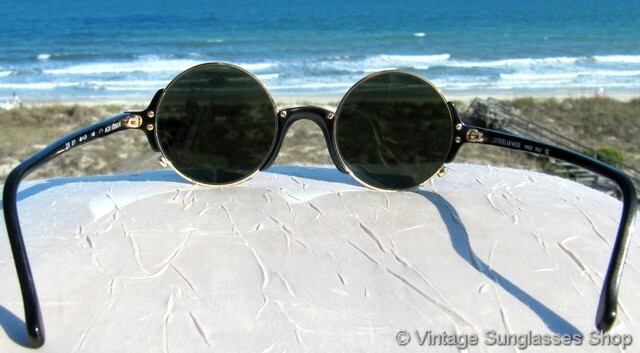 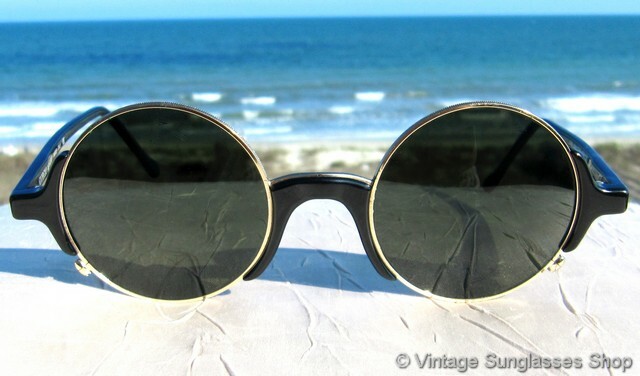 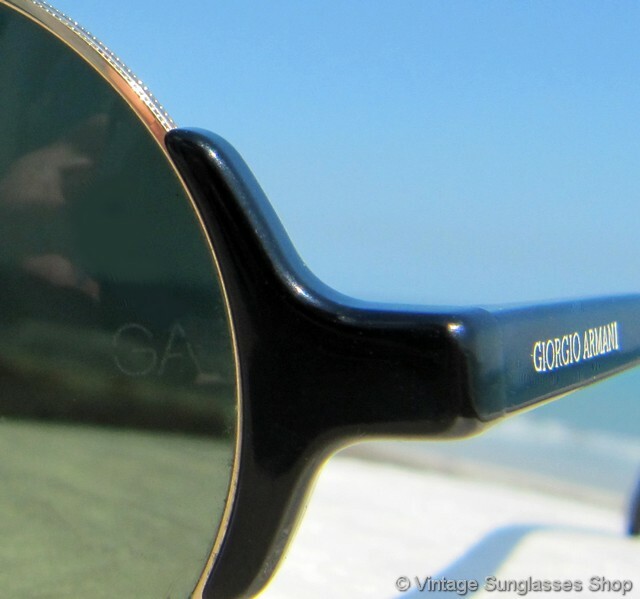 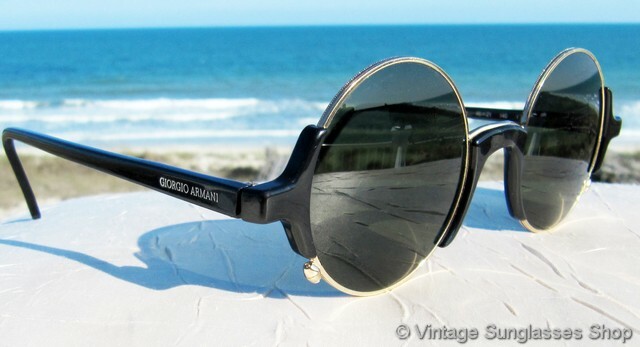 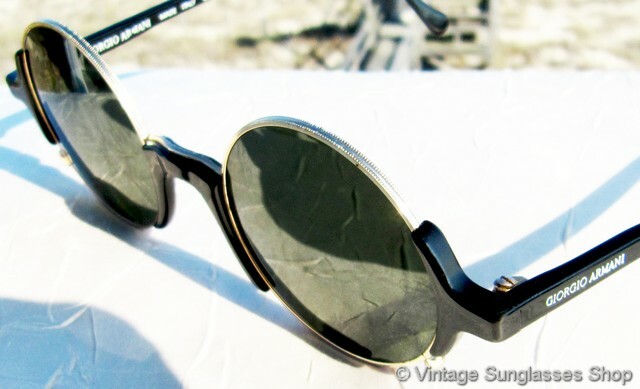 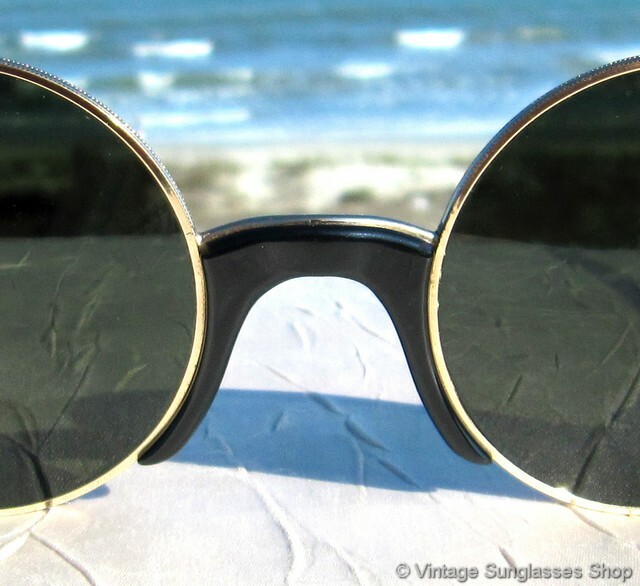 Vintage Giorgio Armani 326 071 sunglasses feature unique black side accents that frame round Armani lenses secured in an etched gold front frame, one of the most distinctive styles ever produced by the House of Armani. 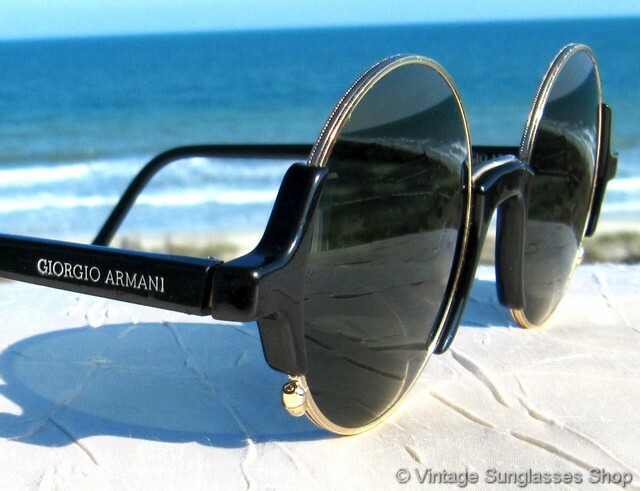 The black ear stems and front accents look great with the green Armani mineral glass lenses, and the unusually shaped nose bridge adds a last bit of extra design flair. 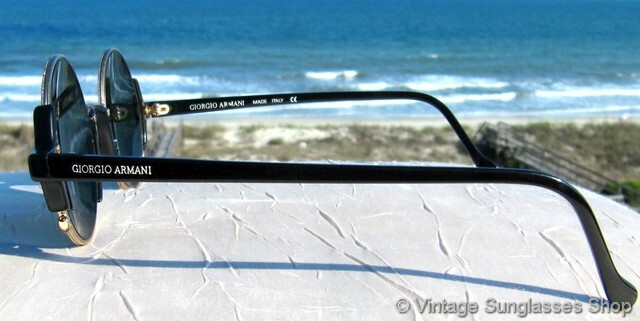 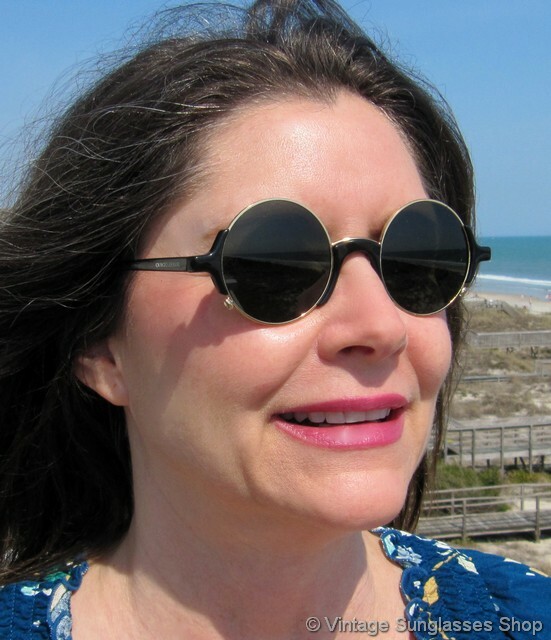 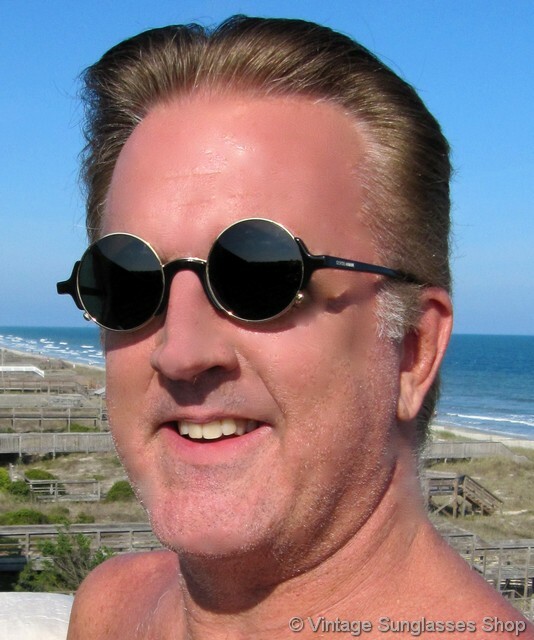 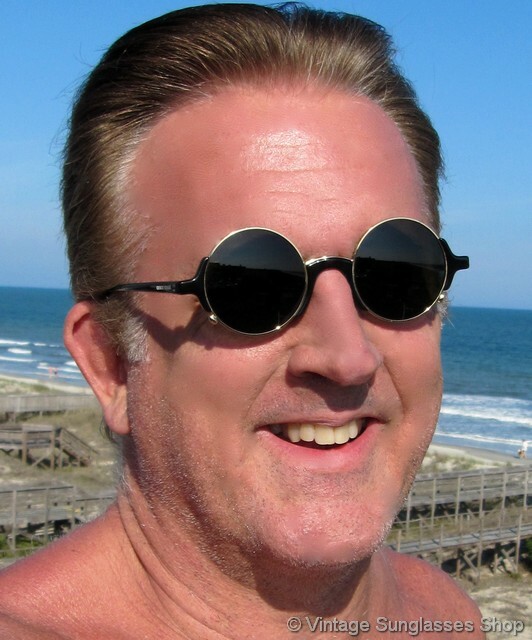 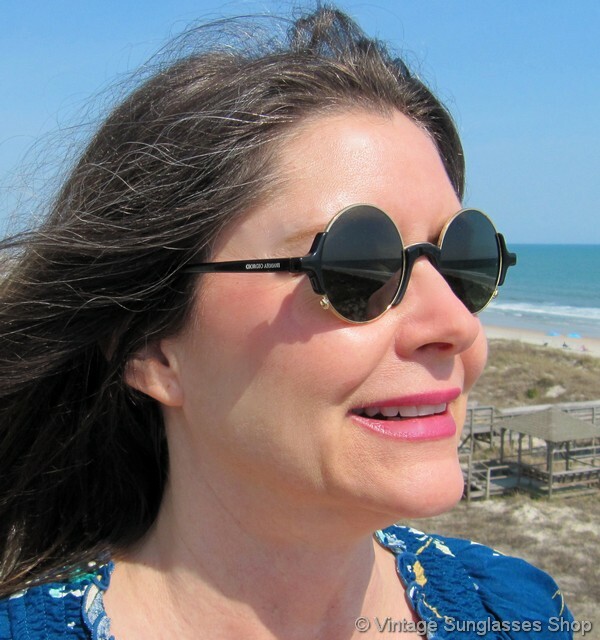 The unisex Giorgio Armani 326 frame measures approximately 5.25" temple to temple, and the lenses measure approximately 1.75" in diameter with both lenses laser etched GA near the hinges. 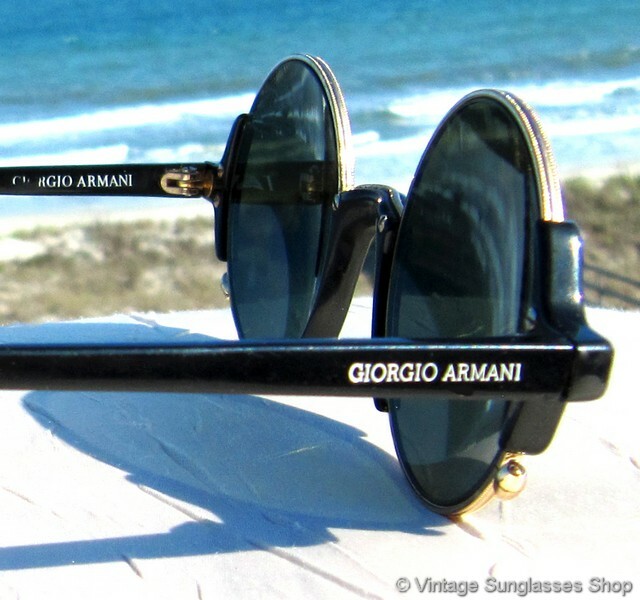 You'll find the Giorgio Armani logo embossed on the exterior of both ear stems, and the inside of one stem is marked Giorgio Armani Made Italy CE while the inside of the other stem is marked 326 071 46  21 140 Giorgio Armani.